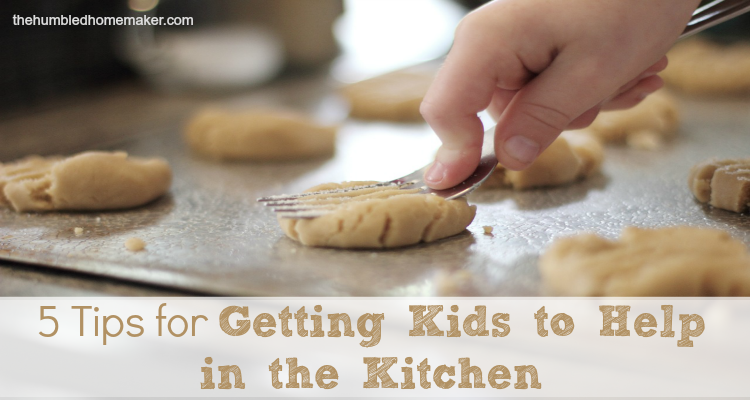 I hope you love these 5 tips for getting kids to help in the kitchen! When I was a little girl, I wasn’t allowed in the kitchen. My mom was a model homemaker, and I was, eh, messy. I can’t say I blame her for kicking me out. Even though I’m now all grown up and have been making my own home for nearly 10 years now, my husband can commiserate with my mom. I’m still a mess in the kitchen! But because I, to this day, feel so humbled in the kitchen, I want my girls to get comfortable in the kitchen from a young age. 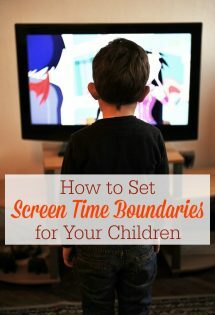 They are now 2, 4, and 6, and, over the past few years I’ve learned some tips for getting kids to help in the kitchen. 1. Start when they are young. My girls all started showing an interest in helping in the kitchen when they were around a year old. Since many moms spend a lot of their time in the kitchen, it’s natural that children like to follow them there. 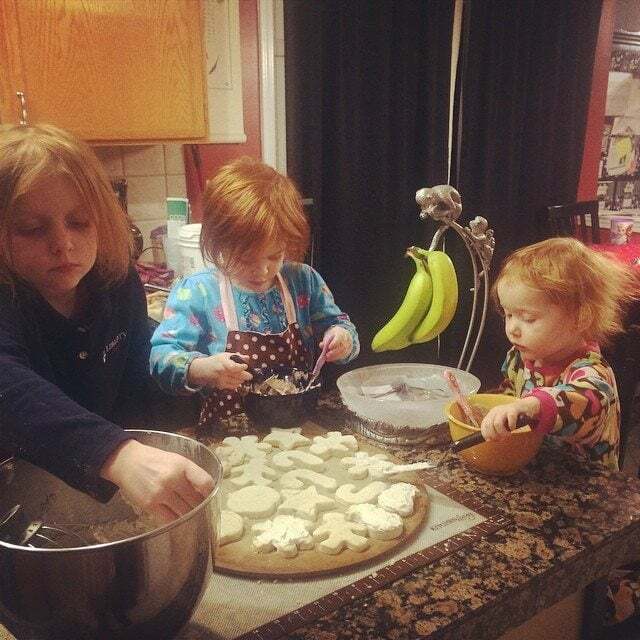 Allowing my girls to take on very simple, age-appropriate kitchen duties has made them feel like they are important. If I were to wait until they were older, helping in the kitchen would feel more like a chore. Right now, it’s just another chance to spend time with Mommy! Hopefully, they will become comfortable in the kitchen while they are young, so they will enjoy it when they are older as well. My girls all have matching aprons that match my apron as well. We love to wear these in the kitchen together! 2. Role play kitchen tasks with their toys. My girls love playing with their pretend kitchen set. 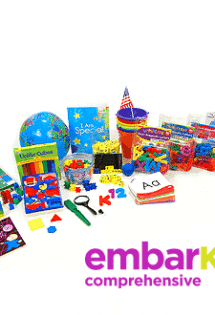 We purchased them play food, plates, cups, utensils, etc. when they were still toddlers. Even before they are old enough to truly help Mommy in the kitchen, children can “work” alongside their mothers in their play kitchens. Ideally, a play kitchen set can reside near the real kitchen. We teach a lot through our attitudes and actions. Are we excited in the kitchen, or do we put on a grumpy face and sigh when it’s time to make dinner? No, I don’t always enjoy kitchen tasks, but I don’t want my girls to think it’s drudgery to provide healthy meals for my family! I want them to see it as something fun! I’m not a Pinterest perfect mom, but it’s fun to occasionally make triangle sandwiches into “sailboats,” or use chocolate chips or blueberries to make faces on their pancakes. Desserts, in particular, can be fun to make with children because they are usually eager to see (and taste!) the finished result! 4. Give them age-appropriate jobs. What can kids do in the kitchen? 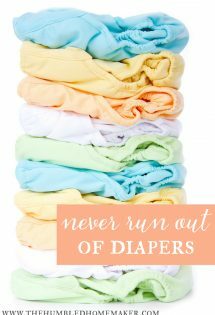 It varies by age, but it’s more than I would have thought in my pre-kids days! 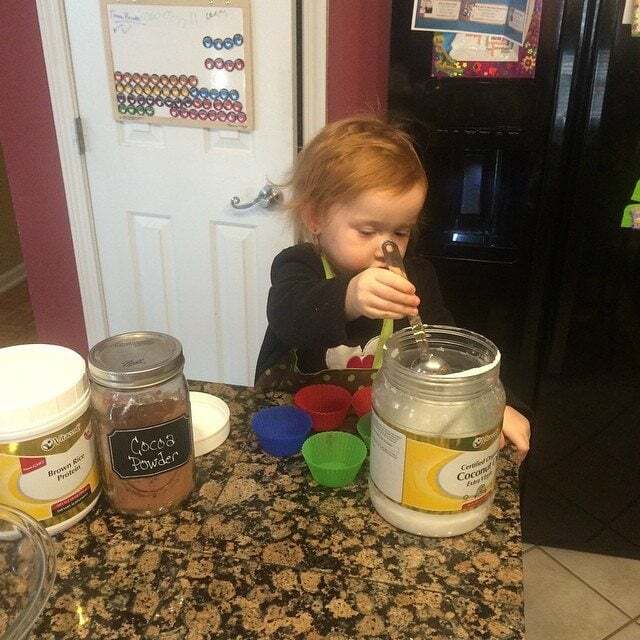 Toddlers can help mommy stir, mix, and add pre-measured ingredients. By kindergarten, children should be able to chop veggies and even make things like scrambled eggs–while supervised, of course. My 6-year-old loves that she can make toast for her sisters. It’s very basic, but it gives her a sense of responsibility that we will continue to build on as she gets older. And don’t forget the clean-up! My husband is now teaching our children how to unload the dishwasher. 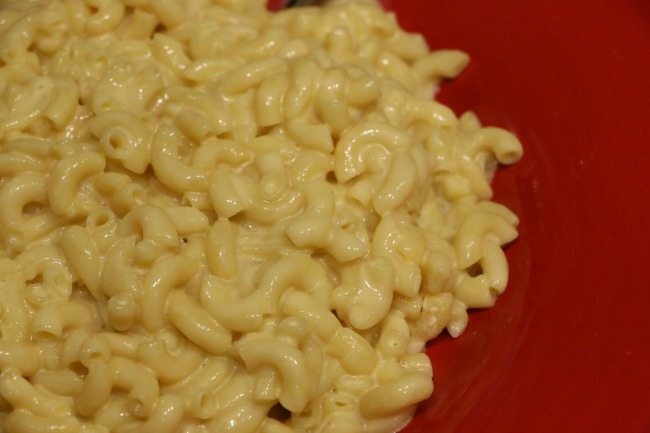 Horizon’s gluten-free mac and cheese is so easy and is a favorite with kids! 5. Cook simple dishes together. If you’re working on getting kids to help in the kitchen, it’s not the time to pull out the gourmet cookbooks. Instead, focus on very simple dishes. Chicken tenders, simple stir fries, and mac and cheese are all great dishes for young children to help prepare. 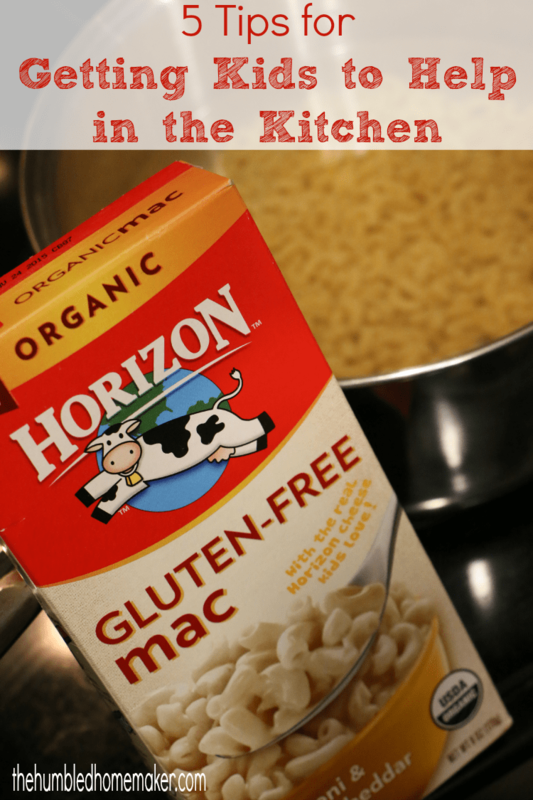 Mac & Cheese : We recently tried the new Horizon Gluten-Free Mac & Cheese. We were impressed with the ingredients and the taste. We had been mostly dairy-free for several years but have slowly been adding it back to our diets, and, boy, was this first re-taste of an old favorite super yummy! Hubs, especially, was a big fan of the taste, and I love that is has 10 grams of protein and organic ingredients! We love that more brands are developing gluten-free products. You can check out Horizon on Twitter and Facebook. Children can easily mix mac and cheese ingredients, and they can also chop veggies to add in a nutritional boost! Almost-Friend Chicken Tenders : Children can mix the bread crumbs and seasonings and then coat the chicken in the mixture. Make sure to practice good hand washing after they handle the meat! Easy Baked Spaghetti : Children can spread the sauce over the spaghetti and sprinkle the cheese on the top. Cheeseburger Tortilla Skillet: Children can tear the tortillas. Pasta with Spinach and Mushrooms: Young school-age children can chop the mushrooms, and they can toss the veggies and seasonings into the pan. Shrimp Stir-Fry: Young school-age children can chop the veggies and de-tail the shrimp. Homemade Gluten-Free Sausage Balls: Children can toss the ingredients into the mixing bowl and even help form the balls–just like play dough! Just make sure to practice good hand-washing after handling the raw meat. Simple Quesadillas: Children can chop the veggies and sprinkle the ingredients into the tortillas. Simple Sugar Snap Pea Pasta Salad with Shrimp: Children can de-tail the shrimp and toss everything together. 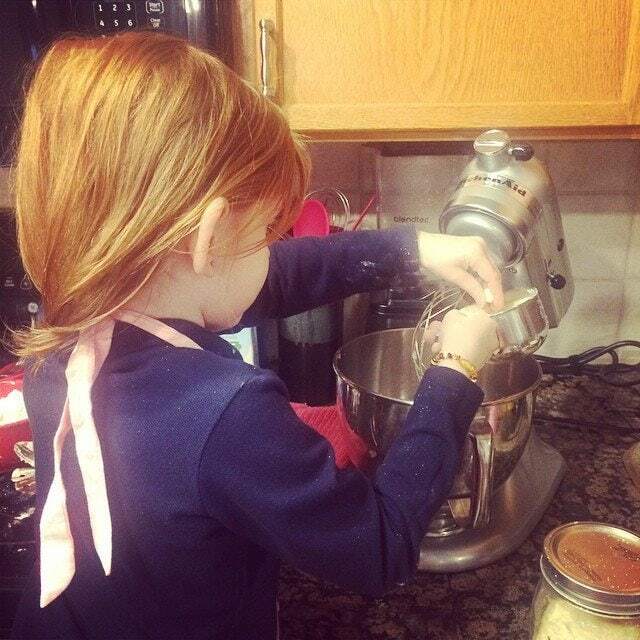 What are your tips for getting kids to help in the kitchen? This is a sponsored conversation written by me on behalf of Horizon Organics. The opinions and text are all mine. I have included affiliate links in this post. Thanks, Kelly! I know you are so good at it, too! I have some teenage girls who grew up in the kitchen and are now taking it over! I think one of the big keys that helped me grow a love for cooking in them actually started in the garden – letting them plant and pick veggies from our garden – dirt and all – then take their veggies into the kitchen to fix for supper. Baby steps!